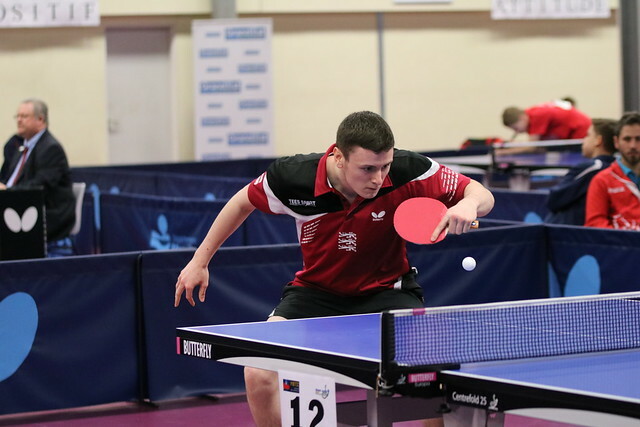 Both the Junior Boys' and Girls' Doubles competitions drew to a close on day two of the 2017 ITTF Premium Junior Circuit French Open on Thursday 16th February in Metz, and while it may have been a fairly comfortable ride for the no.1 seeds in the Girls' Doubles draw the Boys' Doubles event featured two pairs of unexpected finalists. Seeded third for the category the French pairing of Lilian Bardet and Irvin Bertrand caused an upset in the penultimate round of the Boys’ Doubles event with their fifth game victory over the top seeds Leo De Nodrest and Jules Rolland (8-11, 11-8, 8-11, 13-11, 11-6). However, arguably the shock of the semi-finals came from Singapore’s Beh Kun Ting and Yu Zong Jun Gerald following their triumph against the sixth seeds Damien Llorca and Vincent Picard (11-9, 7-11, 11-9, 6-11, 11-6) to book their place in the final. The final itself saw both pairings make positive starts with the opening game requiring deuce before Lilian Bardet and Irvin Bertrand eventually managed to edge a game ahead. Then the French duo were given a boost to their title ambitions when Lilian Bardet and Irvin Bertrand claimed the second end by a four point margin, but a glimmer of hope appeared for Beh Kun Ting and Yu Zong Jun Gerald with the Singapore partnership taking game three to narrow the scoreline. However, much to the delight of the home fans it was Bardet and Bertrand who would go on to claim the trophy as their capture of the fourth game completed a 3-1 victory (13-11, 11-7, 3-11, 11-3). “We are very happy to win this final because it was hard after our defeats in last 16 in the singles. We managed to remobilize notably thanks to our good complementary game”, was the reaction from the Junior Boys’ Doubles champions. 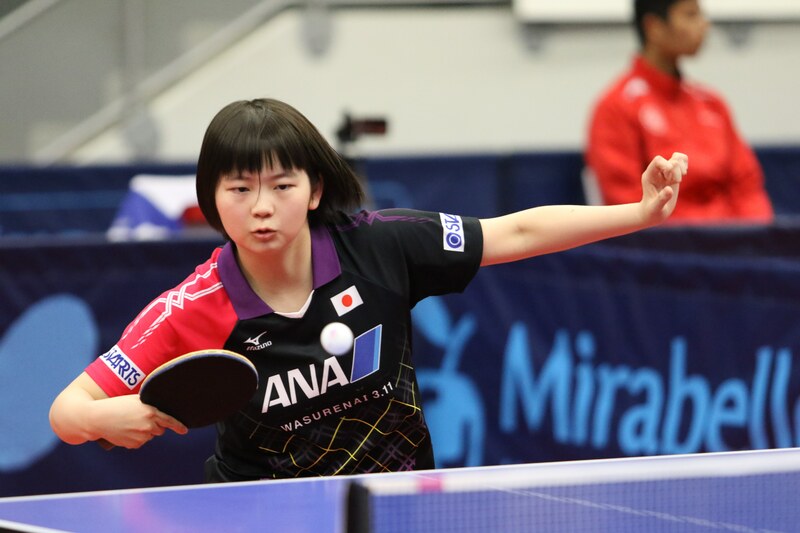 Miyu Nagasaki and Maki Shiomi dropped just one game across the entire of the Girls’ Doubles competition as the top seeds from Japan stormed to the title. Straight games victories in the Round of 16 and the quarter-finals followed by a 3-1 success in the semi-finals sent Miyu Nagasaki and Maki Shiomi into the final round, where they would meet fellow Yuko Kato and Hong Kong’s Wong Chin Yau after the latter pairing saw off France’s Nolwenn Fort and Romane Le Scour (11-8, 10-12, 11-9, 6-11, 11-8) in their last four encounter. With the top two seeded partnerships going head-to-head in an all-Japanese final there was much hope of seeing a thrilling finale take place, but as the event unfolded the quality of Miyu Nagasaki and Maki Shiomi shone through and a positive display across three games from the duo proved enough to seal the crown (11-2, 11-7, 11-9).